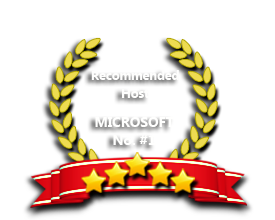 ASPHostPortal is the leading provider of Windows hosting and affordable URL Rewrite Module 2 Hosting. Our price starts from $4.49 per month. ASPHostPortal.com has launched the URL Rewrite Module 2 hosting program. URL Rewrite Module 2 is an incremental release that includes all the features from version 1.1, and adds support for outbound response rewriting. More specifically, it can be used to Implement complex URL rewriting logic by using custom rewrite providers written in .NET; Replace the URLs generated by a web application in the response HTML with a more user friendly and search engine friendly equivalent; Fix up the content of any HTTP response by using regular expression pattern matching. Modify the links in the HTML markup generated by a web application behind a reverse proxy. Our powerfull servers are especially optimized and ensure the best Entity Framework performance. We have best data centers on three continent, unique account isolation for security, and 24/7 proactive uptime monitoring. Our support team is extremely fast and can help you with setting up and using Entity Framework on your account. Our customer support will help you 24 hours a day, 7 days a week and 365 days a year. Our Windows Cloud Hosting fully supports URL Rewrite Module 2 hosting. You are more than welcome to try our Free Windows Cloud Hosting before you decide to buy. You can get your Free Cloud Windows hosting account up and running within the next few minutes.